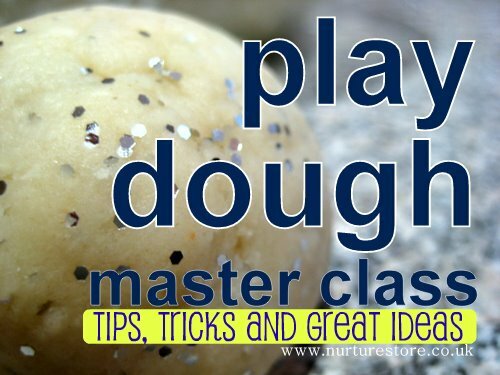 A little ball of dough opens up the realm of possibilities for creative play. In our house playdough has been an ocean, a garden, snowmen, snakes, a gourmet pancake breakfast, dragons, monsters, eggs, a bird's nest, pizza, bombs, fire, a forest, snacks, and on and on and on. Seriously, I could write all day. 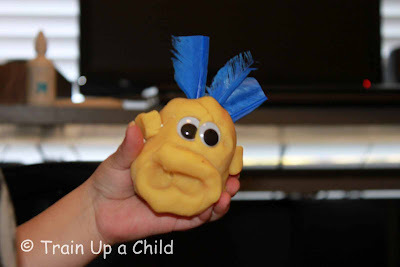 In addition to imaginative play playdough helps develop those tiny muscles needed for one day holding a pen or pencil. When a toddler squishes a ball of dough between his fingers he doesn't realize he is developing muscles that will help his pencil grasp, but he is. Handwriting is, of course, an important skill, and a strong pencil grasp will help aid a student achieve better scores in school. An ineffective pencil grasp tires a hand easily and causes sloppy writing. A strong pencil grasp helps a student write faster, neater, and without tiring quickly. 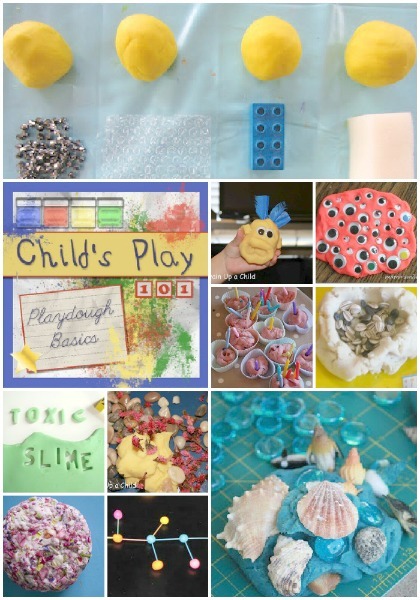 Playdough is also a wonderful sensory experience whether played with alone or with added colors, scents, glitter, beads, items from nature, etc. 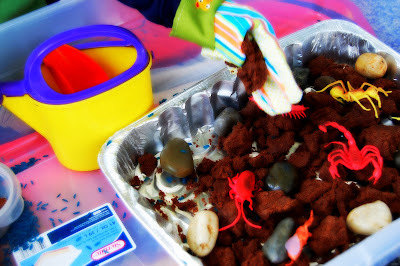 Last week I touched on the importance of sensory play in the first post of this series. 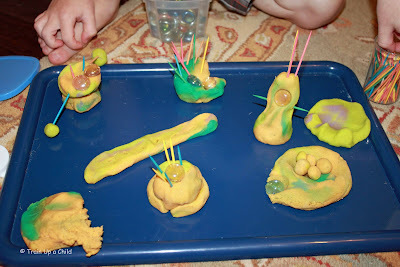 Playdough is such a simple tool for sensory play. 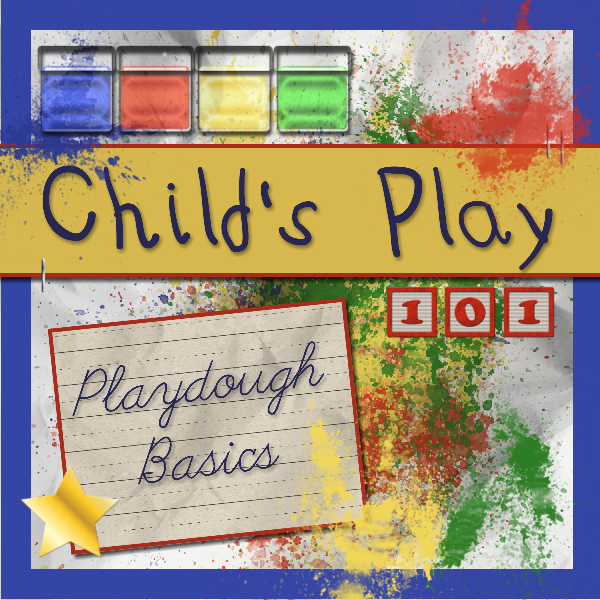 Whether store bought, homemade, by itself, or with accessories, playdough is sure to capture a child's attention and allow focused play. Okay, so that's all fine and good. What's the point of this post? 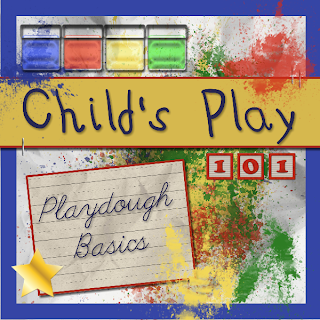 You can easily browse Pinterest, blogs, toy catalogs and other websites for playdough overload. 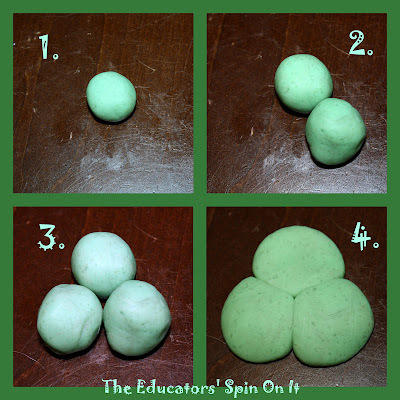 The possibilities for playdough truly are endless. The list below is not a comprehensive list of suggestions for playdough play. There are so many wonderfully creative minds out there constantly coming up with new ideas. It would probably take me over a week and much more than one blog post to capture all the ideas. The purpose of this series is to make Child's Play available and reasonable for everyone. Not all of us have the time to set up a creative playscape with props, characters, themes, etc. Instead of getting overwhelmed by the possibilities, let's bring it back to the basics. Give a kid a ball of playdough, and he will probably be entertained. Add a couple of common household items like cookie cutters, a rolling pin and toothpicks, and you might even buy yourself enough time to get a meal on the table. Dump all the ingredients in and stir over medium heat until the dough forms a ball. Then remove from heat and allow to cool on wax paper. I only recently started liking the common No Cook Recipe. **Update** I discovered the most simple way to make playdough ever. This playdough recipe gets perfect results every single time. activities as well as tips for perfecting a no cook recipe. I still haven't made tried this Crockpot recipe from Repeat Crafter Me. To make Kool Aid Dough visit Meet the Dubiens to get the recipe. Mom to 2 Posh Lil Divas kicked it up a notch with Jello playdough. 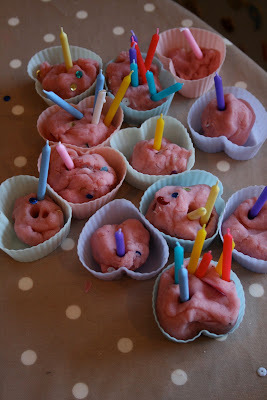 Glittering Muffins wrote about how her son explored playdough at 20 months by cutting, squishing, stacking, scooping and making balls in her Discovering Play Dough post. In another post she shared how she gave her son some toothpicks along with playdough to make Hedgehogs. Last week we added toothpicks and glass gems to some dough to make colorful (AKA with old, mixed dough) Robots. (Ignore the fact that they look a bit more like aliens than robots.) See that? Three completely different projects with toothpicks. I imagine there are hundreds more. The Imagination Tree has made every recipe, added a zillion different accessories and set up many invitations for play. 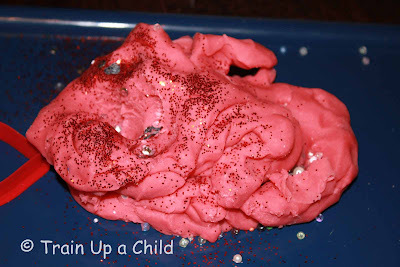 I love this Strawberry Sparkle Playdough. Simply by coloring it green, Make Do and Friend made her son Toxic Slime! Now what little kid wouldn't want to play along? 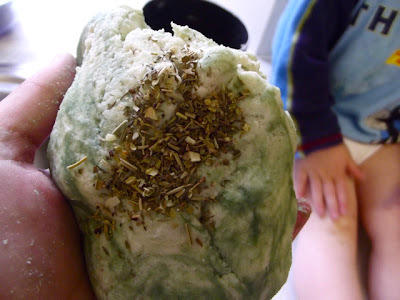 Creative Playhouse added Herbs and Spices to homemade playdough for an added sensory experience! 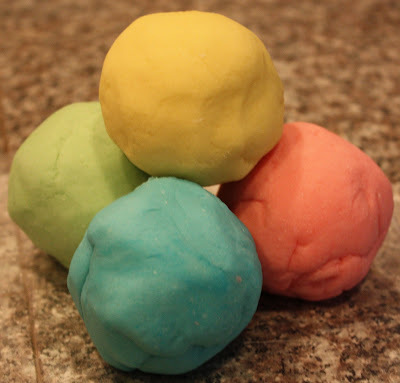 I've been wanting to try this Magic Marble Playdough from Mommy Musings and Mayhem since I first read her post. 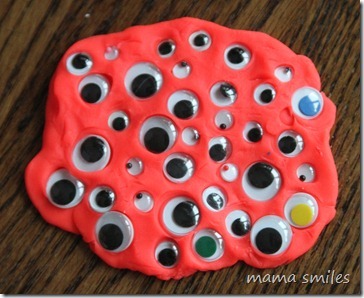 One of my most favorite bloggers, Morgan of Tot Treasures gave her daughter playdough, pipe cleaners and googly eyes to make Play Doh Monsters, love these! 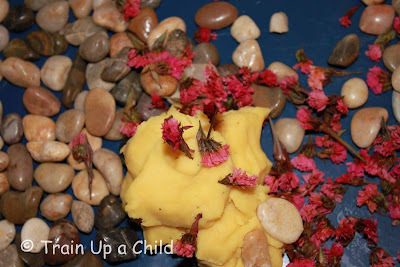 Give a child some Rocks to go along with his playdough, and you'll be amazed at all the ways he can use them. 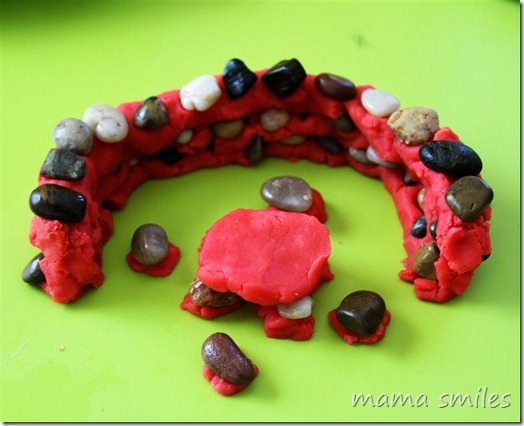 Visit Mama Smiles for more ideas. Deborah of Teach Preschool simply gave her students some Seeds to include in with their playdough. By giving creative freedom to my children and allowing complete access to their art/craft supplies, my (then) two year old created this masterpiece without any prompting. 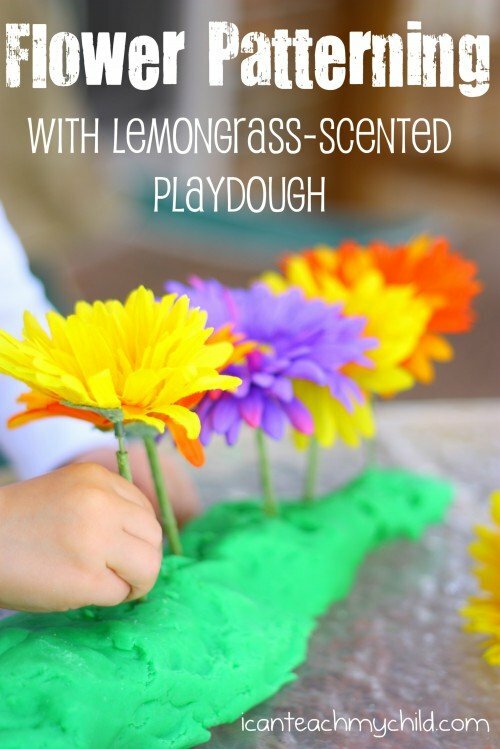 Over at Small Potatoes you can find an awesome recipe for Flower Power Playdough. Children long to be outdoors, connecting with Nature. On a rainy day, why not bring the outdoors, indoors? Explore Texture Imprints and Patterns like Learn with Play @ Home. I love using recycled items for play. See how B.Inspired, Mama! used Plastic Bottles to make impressions. With feathers and googly eyes we whipped up some fun creations inspired by Dr. Suess' There's a Wocket in My Pocket. Janae from I Can Teach My Child shows us how playdough can be educational with a fun Patterning Game. In October give your children a bowl of googly eyes for Halloween Creations like Mama Smiles. 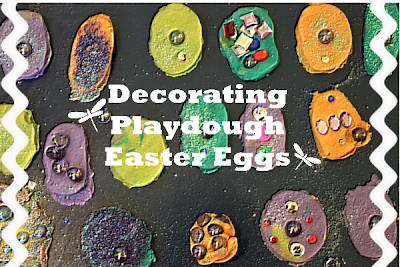 We made Easter Eggs out of playdough this year. We also made decorated a Christmas Tree of playdough like Counting Coconuts. Of course you can get fancier, should you desire. Encourage imaginary play with this Tea Party found at No Twiddle Twaddle. Dirt in the garden from Connecting Famiy and Seoul. 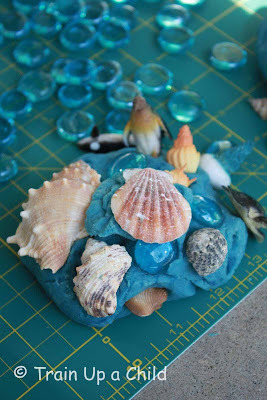 This Ocean Dough we created awhile back set the stage for hours of play. I know I'm not the only parent out there who despises birthday party goodie bags full of candy and junk my children don't need to eat. 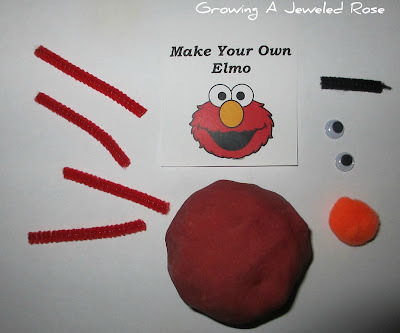 Wouldn't you rather your child come home with this clever Create Your Own Elmo playdough goodie bag??? Thank you Growing a Jeweled Rose for stepping out of the box. Creekside Learning went all out and made Sushi Playdough - you have to see how cool it is for yoruself! And if the playdough accidentally gets left out? Use the hard and dry dough to create beautiful Mosaics like Putti Prapancha. 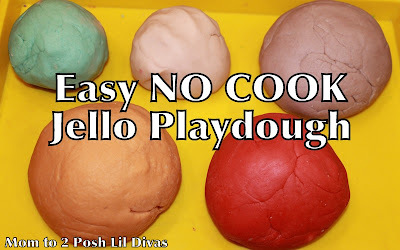 For more ideas for playdough fun follow my Playdough Activities board and a Playdough board I collaborate on along with many wonderful bloggers. Follow all my boards, so you don't miss out on any of the fun! Once again, I hope this post has left you inspired. It's too easy to get information overload and decide to quit before you even begin. Remember, playdough and imagination are the only necessary supplies. how do i make playdough if i dont have cream of tartar? You can substitute the cream of tartar with a small amount of lemon juice. You might need to add some flour if the playdough gets too sticky.